Boys 10th Basketball · Feb 14 Patriots lose in Championship Game. Boys 10th Basketball · Feb 13 Patriots survive and advance to championship game with win over Rockhurst High School. Boys 10th Basketball · Feb 12 First round win for Patriots in Chrisman Tournament, Face Rockhurst Next. Boys 10th Basketball · Feb 6 Game cancelled do to inclement weather. 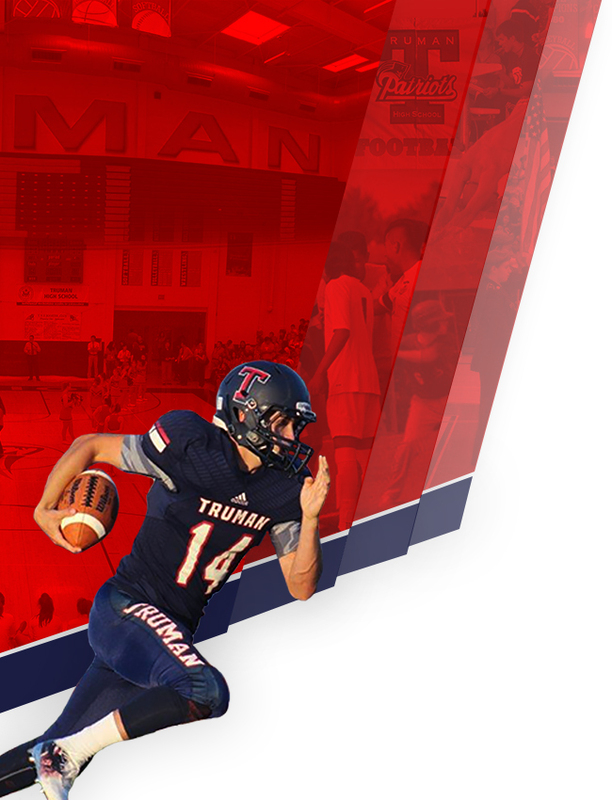 Boys 10th Basketball · Jan 25 Truman Sophomores Win OT Thriller over rival William Chrisman. Boys 10th Basketball · Jan 22 Clutch Free Throws Win it for Patriots with 7 seconds left in the 4th. Boys 10th Basketball · Jan 16 Patriots lose a tough one at the buzzer against Fort Osage. Boys 10th Basketball · Jan 15 Huge game winning free throw seals win with 3.7 seconds on the clock as the Patriots win four in a row 51-50 at Staley. Boys 10th Basketball · Jan 10 Three in a row wins for the Patriots!